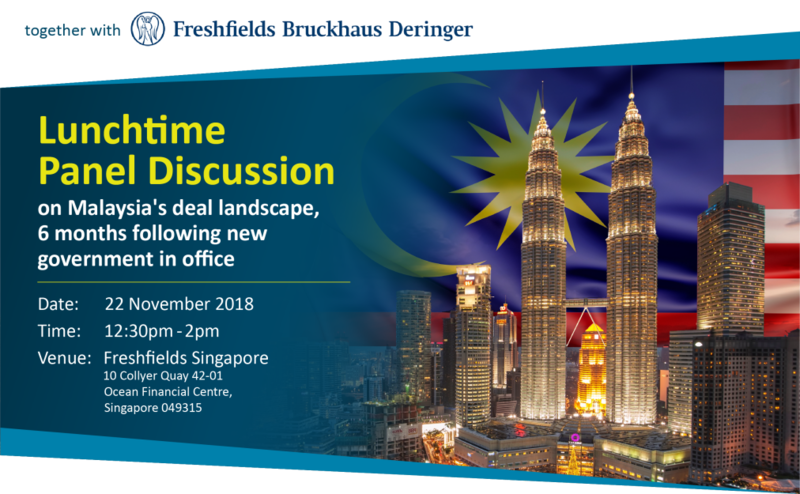 ZICO Law and Freshfields Bruckhaus Deringer are hosting a lunchtime panel discussion on developments arising from Malaysia’s new government, on 22 November, from 12:30pm-2pm at Freshfield’s office in Singapore. A lot has taken place since Dr Mahathir’s historic election as the 7th Prime Minister of Malaysia six months ago: Singapore and Malaysia have agreed to postpone construction of the Kuala Lumpur-Singapore High-Speed Rail and Malaysia has also put the East Coast Rail Link project on hold. This amongst a public and high-level shake up in government that has seen several high-ranking officials announce their retirement or charged by the Malaysian Anti-Corruption Commission (MACC). the disputes landscape relating to suspension/renegotiation of major projects, including belt & road projects (and, in that context, Malaysia-China relations). Want to be part of the conversation? Join us! Kindly hit the RSVP button below to reserve your seat. If you have any questions or need further assistance, kindly contact Adrio Rivadi.